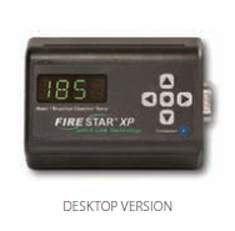 Remote desktop display and control panel can be used to remotely view operational data and change menu settings on the FireStar II controller. Compatible only with a properly configured FireStar II equipped outdoor furnace (with software version 2.5x or higher on Maxim M255 PE models). Kit includes FireStar XP Wi-fi Module, wiring connector, Quickstart Guide, Operator's Manual, Connection Kit and installation instructions. Cable from FireStar II controller sold separately. NOTE: Must be wired to furnace. Connection Kit for wiring and installing the FireStar XP Desktop Wi-fi Module includes power supply adapter, 6-ft serial cable, cable grip and screw terminal.